Businesses tend to collect data at almost every point of their business venture. The expectations of the customers are high and the competition is increasing. Businesses are under constant pressure to increase efficiency and improve results. On the other hand, the data is constantly growing. Companies have the opportunity to collect information from their organization as well as the industry. This allows them to get a competitive advantage in viewing areas where improvements are required, the trends which have decreased or increased, or places in which there are potential gaps. This is why data analytics is one of the most important tools for organizations. 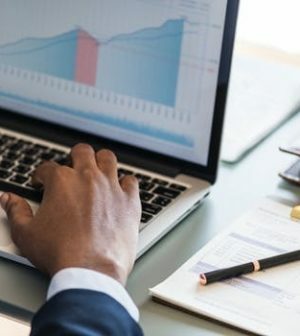 Below is a list of the benefits of data analytics, which provide a clear understanding of the key outcomes businesses and their customers, while maintaining a high level of data protection. Organizations are under immense pressure to not only concentrate on acquiring customers on a regular basis, but to also understand the demands of the consumer so that they can optimize the customer experience while developing a long-standing relationship. When customers share their data, they are actually expecting their preferred brands to have a better understanding of them, form the necessary interactions, and deliver seamless experiences across the various touch points. This is why companies should capture and reconcile the various customer identifiers such as email addresses, physical addresses, cell phones, etc. Customers are making use of a number of channels for interacting with the companies. This is why both digital and traditional data sources should be combined to understand the customer behavior. Customers also expect companies to deliver relevant and real-time experiences. The main objective of fraud and security analytics is to protect the physical, intellectual, and financial assets from being misused by either internal or external threats. Effective data and analytics capabilities will help in delivering the optimum level of prevention from fraud as well as complete organizational security. Using statistical methodologies for fraud propensity models, which lead to alerts, assures the timely responses that are triggered by threat detection procedures as well as automated alerts or mitigation. Data management, along with transparent and efficient reporting of all fraud incidents, may result in better management of frauds. Moreover, the complete integration and correlation of all the data across the entire enterprise, can provide a unified view of the trickery across the different lines of products, transactions, or businesses. There is no doubt that products are the life and blood of every organization. They are also undoubtedly the biggest investments that companies make. The role of the product management team is to find out the current trends in the market, which are responsible for driving the strategic maps for innovation, services, and new features. An effective and proper data collation from third-party sources, where individuals showcase their opinions and thoughts when merged with analytics, will help companies to remain competitive, even when new things are demanded or a new technology is being developed. To better understand data and analytics, you can visit RemoteDBA.com. Most companies are seen to struggle with structured data. Brands have to be responsive so that they are capable of dealing with the volatility that customers create by engaging with available digital technologies. A company can react and permit the customers to feel valued, and this is possible only because of advanced analytics. Big data provides the opportunity to interact with customers, based on their personality and understanding their attitudes. Companies can also consider real-time locations for delivering personalization in multi-channel service environments. If operations are poorly managed, it can lead to a number of issues that will be expensive. Furthermore, it involves the risk of spoiling the customer experience, and have a negative effect on brand loyalty. When companies apply analytics to design, control of various processes, optimization of business operations for producing products or services, it assures an effectiveness and efficiency of fulfilling customer expectations. Furthermore, companies can achieve an operational experience. The analytical techniques that are modern and advanced can be established for improving the productivity of field operations. It can also increase efficiency and help in optimizing the organizational workforce, in accordance with the needs of both the business as well as customer demands. The maximum use of data analytics helps to ensure continuous improvement due to the proper measurement of the main operational metrics. Data analytics can breach customer privacy as information such as online transactions, purchases, or subscriptions, can be viewed by the parent companies. There are chances that the companies will exchange these databases for mutual benefits. The price of the tools normally depends on the features and applications that they can support. Moreover, some tools are complex and require proper training. The information that is obtained by making use of data analytics can be misused. One of the toughest jobs is to select the correct analytics tool. No matter the disadvantages, if businesses are capable of viewing the data, they will be able to make smart decisions for their business to achieve improved and better services or products. It is clear that when businesses bring data together, it is easier for them to get real-time insights about sales and finance, marketing, product development, and much more. Data allows the teams within a business to better collaborate, to achieve better results, and outsell rival companies. Jack Dsouja is a business leader in data analytics consulting, and also a blogger. He suggests businesses go through the website of RemoteDBA.com to gain a better understanding of data and analytics.